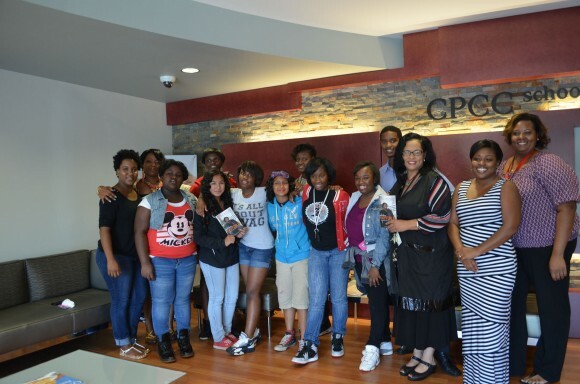 New Growth Gives Back: Backpacks, Snacks, and School Supplies | New Growth Hair Magazine | We capture the culture of urban barbershops and beauty salons. 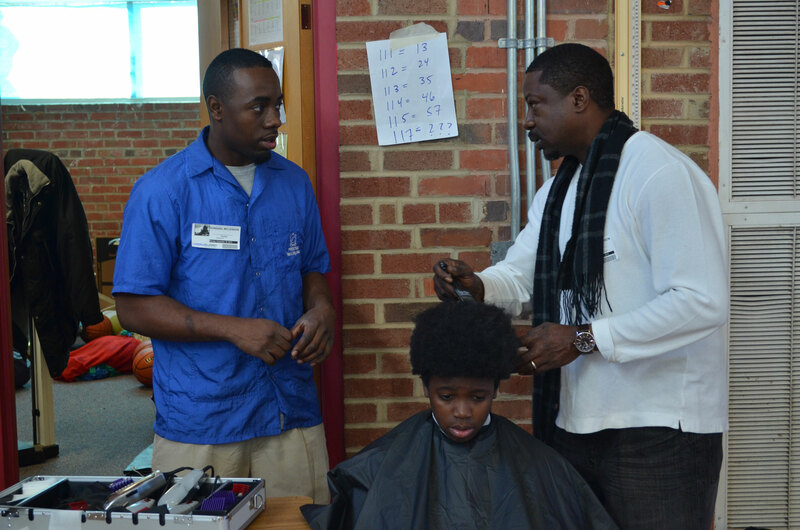 During the past two years, New Growth Hair Magazine successfully organized School Supplies and Food Drives for homeless and low-income students at Thomasboro Academy, a Charlotte-Mecklenburg School with the highest number of documented homeless students (2013-2014 school year). During a networking event, Tina Owens Knox, a licensed insurance agent and budget counselor with Spend Smart Now learned about the situation at Thomasboro Academy. Knox invited Rashad Phillips, New Growth Hair Magazine publisher to visit with Latonya Millhouse, Thomasboro’s Family Advocate to get a first-hand account of the challenges facing the students at Thomasboro. Phillips was shocked to learn that Thomasboro Academy has nearly 150 documented homeless families and has a food pantry on campus to provide food for their homeless and low-income students to take home. On a daily basis, hundreds of Thomasboro students go to school hungry and don’t eat meals outside of school. After their first visit to Thomasboro, Knox and Phillips made a commitment to bring awareness to homeless public school students and to coordinate with Ms. Millhouse to provide students with food, school supplies, and educational materials. “In light of our current economic and social climate, we must do more to empower, inspire, and motivate financially disadvantaged students by providing them with the tools required to become productive community members” explained Phillips. Knox further clarified “Thomasboro is only the beginning, we have identified six additional Charlotte Mecklenburg Public Schools with high levels of poverty and we want to grow our outreach effort to help those students too.” Last year, the following local businesses served as collection points for Thomasboro’s Food and School Supplies Drives: First Legacy Community Credit Union, The Cutting Room Barbershop, Dupp & Swatt, Darlington Davis, PLLC, and Time Warner Cable Call Center [organized by Lewis Knox, Sales Manager at Time Warner Cable]. When Catherine Cunningham, Central Piedmont Community College (CPCC) Cosmetology Program Director learned about the number of the low-income and homeless students at Thomasboro Academy, which is located less than two miles away from CPCC’s Cosmetology School, she wanted to get CPCC’s staff and students involved with resolving some of the issues facing Thomasboro students. Last August, CPCC Cosmetology School offered free hair services to Thomasboro’s homeless and low-income students. Also, CPCC’s Cosmetology Student Club collected six large boxes of food and school supplies for Thomasboro. 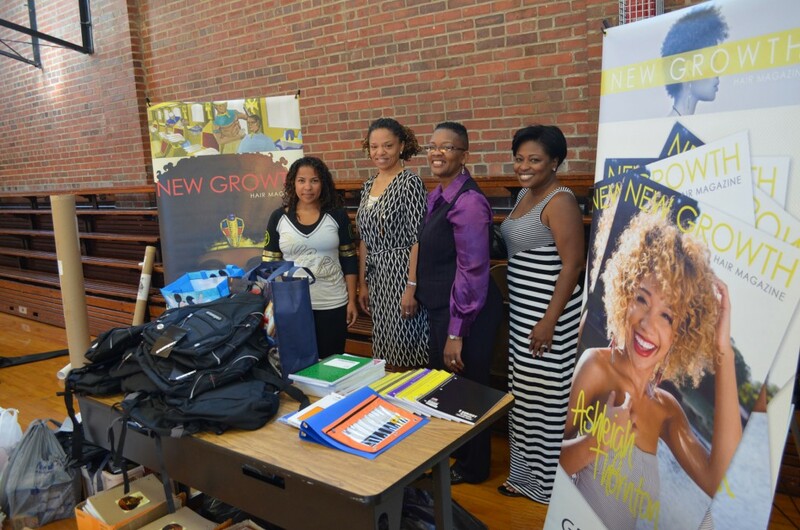 At the beginning of last school year, Team New Growth and its supporters provided 75 backpacks, 550 composition and spiral note books, 225 pencils, and 85 glue sticks to Ms. LaTonya Millhouse, Thomasboro’s family advocate for distribution to at-risk students. Additionally, barbers from Prestige Barber Styling Institute [Patrick Anderson and students], The Cutting Room Barbershop [Duane Goodwin], Legendary Cuts [Joshua Clifton], The Man Cave [Aundray Dillard & Juan Gaddy], and Clean Cuts [Latif Phinizy]. This school year, Team New Growth is looking to garner more community support to donate food and school supplies, secure more businesses and employee groups to collect food, school supplies, and winter hats. 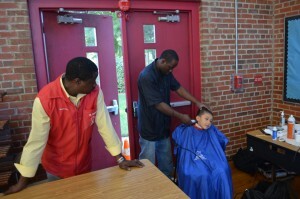 Also, we are looking for more barbers to donate several hours to provide free haircuts to children in need. For more information about New Growth Hair Magazines School Supplies and Food Drives visit www.newgrowthhair.com or contact Tina Owens Knox at 704-363-5420 or tina@spendsmartnow.net.